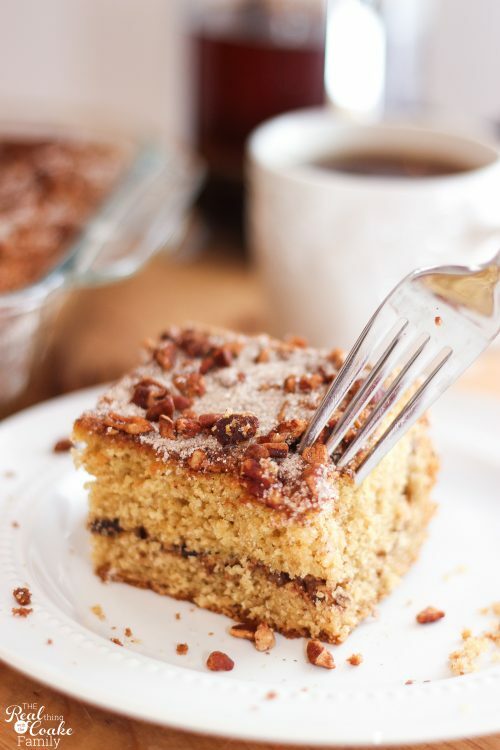 I've got the most delicious coffee cake recipe for you today! This is my go to Saturday morning or special morning recipe. It comes out moist and oh so yummy every time! A friend of our family gave me this recipe 16 or so years ago at one of my wedding showers. She had each person bring a favorite recipe. This was her contribution. It has never failed to disappoint and shockingly, I still have the actual recipe card she gave me! Does anyone still use recipe cards? I know I don't anymore. Anyway, I think the secret to this yummy recipe is the sour cream. It adds to the flavor and makes the coffee cake moist. The recipe calls for sifting your dry ingredients. You can do that if you like to, or you can just put them in a bowl and whisk them. It does the same thing without the fuss of the sifting. I much prefer the whisking method to actual sifting. 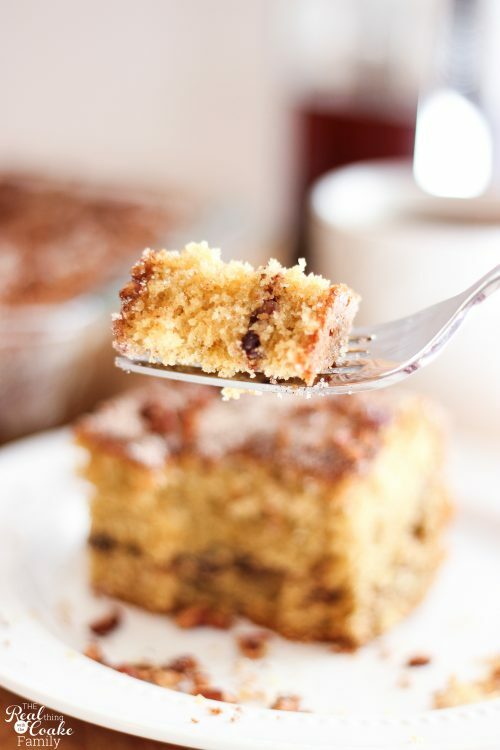 The topping that goes in the middle and on top of this coffee cake recipe is so yummy and adds tons of flavor. Doesn't it look amazing? Ready for a bite? 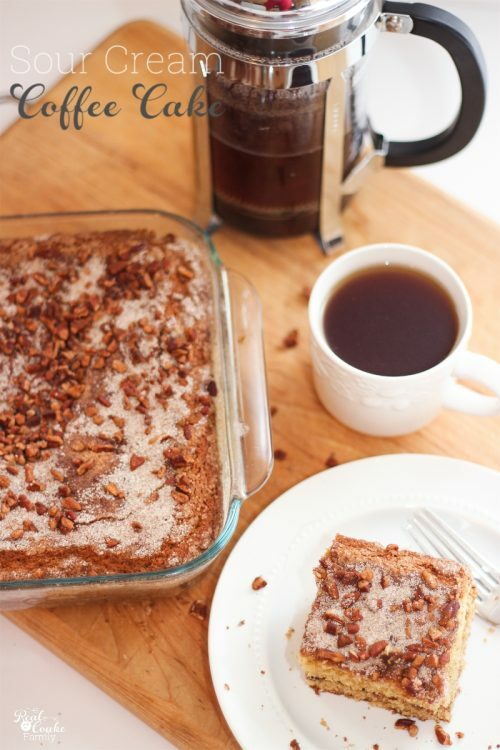 I cook my coffee cake in this Pyrex pan(affiliate link). It is the same one I personalized as gifts one Christmas. That way when I take this to a potluck or event I always know which one is mine. Perfect! Of course, what is coffee cake without coffee? Don't forget a great cup of coffee or tea to go with your Sour Cream Coffee Cake. Now go make some coffee cake and enjoy a lazy morning eating deliciousness, drinking coffee and curling up with a book or good TV show. Sounds perfectly lovely! 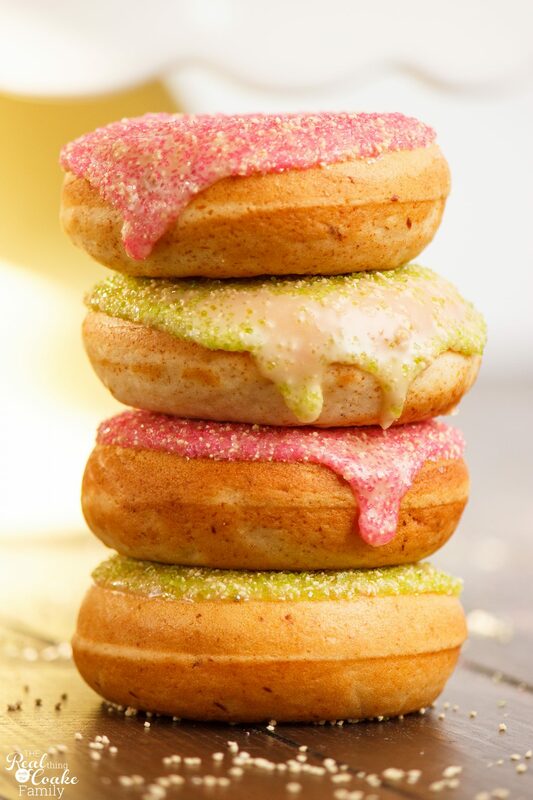 Or if you prefer something a little more fun and whimsical, you should totally try my pancake cupcakes. They are yummy and a fun family breakfast. Just sign in below to get your printable recipe. I share even more recipes and ideas on my Facebook page. Follow along so you don't miss the fun! You’re not alone–I still use recipe cards, too! 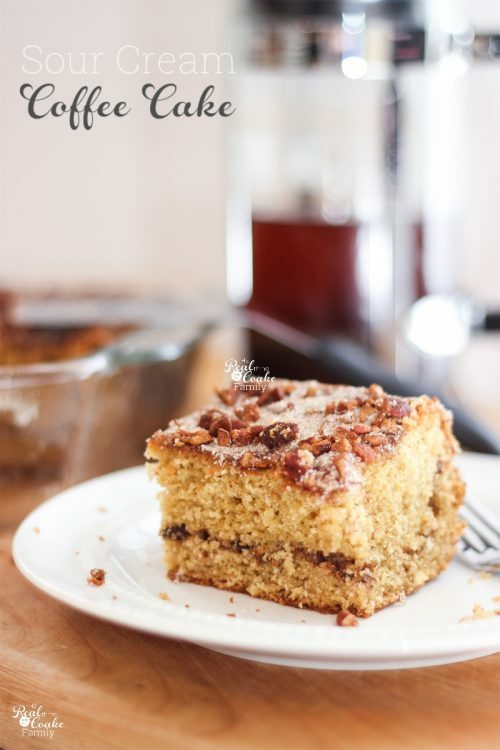 This coffee cake looks amazing–I”ll have to try it sometime! lol! Good to know….though honestly, I use so few recipe cards anymore. I just have kept a few, like this one. Hope you love the coffee cake if you give it a try. Visiting from Skip the Housework link party. This looks delicious, I love coffee cakes but never tried a sour cream one before. I co-host Sweet and Savoury Sunday and would love for you to stop by and share this and other recipes with us. Have a great day! Thank you! It is super yummy. Enjoy! I love sour cream crumb cake! This looks delish!! Thanks for sharing and have a great day! Pinned! I might have to make this very soon. Looks like I have most of the ingredients already in house. You say its a Saturday AM recipe, do you use it as a breakfast?